Occasionally when the weather is perfect, Jo Jo and I go out paddling because its amazing outside. Today was one of those days. She claims that adventure just happens when I’m around, but I think the river gets all the credit. 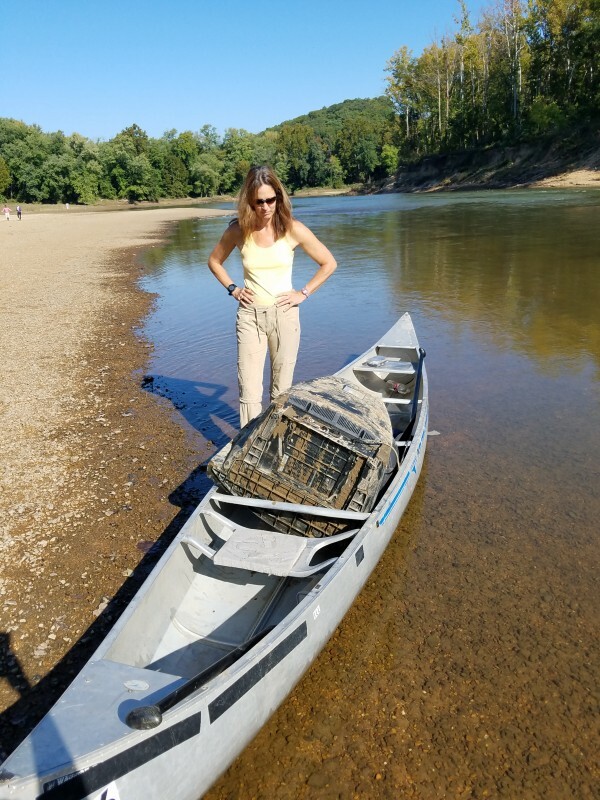 Today,we found a CRT TV floating in the river. So JoJo held it by the cord and I paddled us to shore. It probably took us 10 minutes to load it into be boat without damaging anything and it barely fit at that. For good measure, we also got a giant tire as well! The TV was so heavy, we backed my van down the ramp to the water. Then we tipped the canoe to get the TV floating in the water again. The last step was to go knee deep into the water so we didn’t have to bend over to pick up the heavy TV. 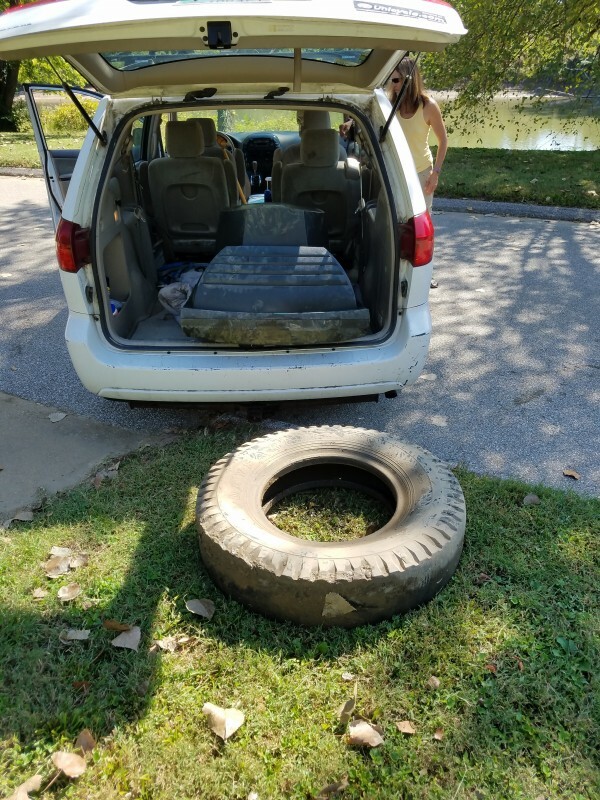 From there, it went into the back of the van and got placed on top of the tire near the bathroom. 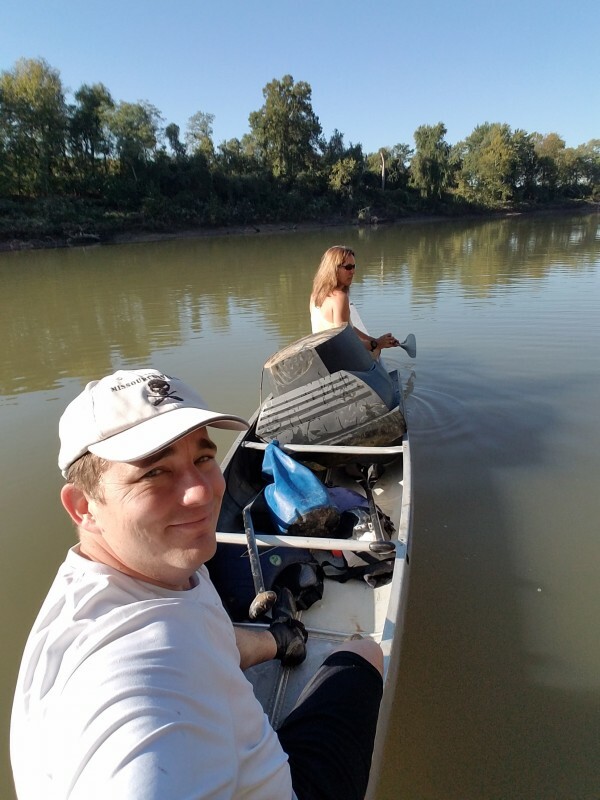 The parks trash people have to hate us in the summer, but it sure makes the river look nicer! This entry was posted in Paddling and tagged Hogan, Jo Newbold. Bookmark the permalink.